Let us cater your next fiesta with our award-winning Mexican food! 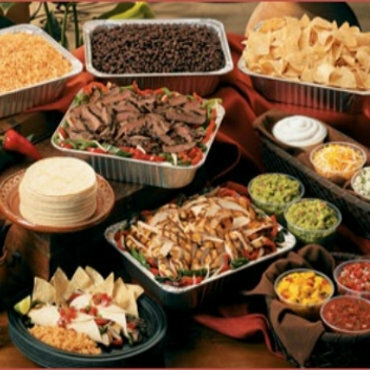 We proudly offer Mexican catering in Lone Tree and much of the Denver area. Mexican cuisine is our passion. Let us do the cooking while you spend time with your guests enjoying the party! We offer quality appetizers, entrees, and desserts at a very reasonable price. Call Doug or Suzie at 303-708-9333 or send us a message. Let Brewery Bars cater your next fiesta. You're just a phone call away. "The food was fantastic as usual! It arrived just on time and the delivery driver was an absolute pleasure!" "First time using the Brewery Bar-will definitely use again! The office loved the food." "We really enjoyed lunch. We will be ordering from brewery bar again." Plasticware & Paper Plates included for all menu items.